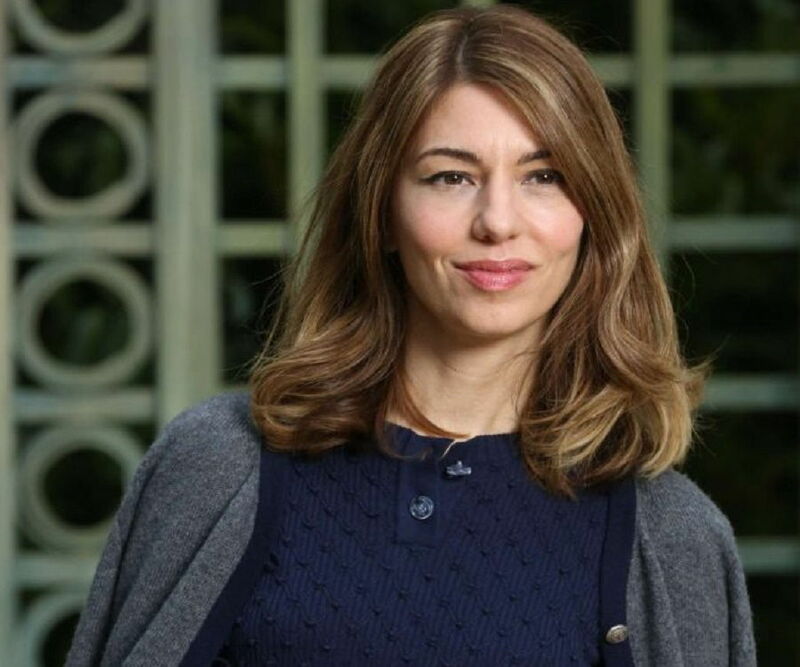 Sofia Coppola is an American screenwriter, producer, director, and former actress. Check out this biography to know about her birthday, childhood, family life, achievements and fun facts about her. Sofia Carmina Coppola is an American screenwriter, producer, director, and former actress. Being the daughter of the famous director Francis Ford Coppola and set decorator Eleanor, she was raised within the entertainment industry. She made her acting debut as an infant in the crime drama flick ‘The Godfather’ and later portrayed Mary Corleone in the 1990 film ‘The Godfather: Part III’. Coppola also modelled for a few magazines like ‘YM’ and ‘Seventeen’ in her early career. As a screenwriter, she earned international fame with the comedy drama’ Lost in Translation’ for which she won the Academy Award for Best Original Screenplay. In 2010, with the movie ‘Somewhere’, she became the first ever American woman to win Venice Film Festival’s top prize, the Golden Lion. Coppola later directed the movie ‘The Beguiled’, based on Thomas P. Cullinan’s 1966 book of the same name. For her contribution to the flick, she was awarded the Best Director award at the 2017 Cannes Film Festival. A unique feature of the director is that Coppola often employs pole-dancing scenes in her films. On a personal note, she has been married twice till date. Following her divorce from her first husband director Spike Jonze, she married musician Thomas Mars. Sofia Carmina Coppola was born on May 14, 1971 in New York City to director Francis Ford Coppola and his set decorator wife Eleanor Coppola. 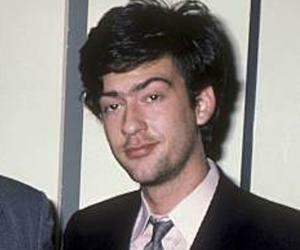 She is the sister of the filmmaker and entrepreneur Roman Coppola and the late film producer Gian-Carlo Coppola who lost his life in a speedboating accident in 1986. Her mother is of British ancestry while her father is of Italian descent. Her cousins are the artistes Jason Schwartzman, Robert Schwartzman, Christopher Coppola, Nicolas Cage and Marc Coppola. She is the niece of actress Talia Shire, Jack Schwartzman, August Coppola and David Shire. Her grandparents were Italia Coppola and Carmine Coppola. Her great grandfather was the musician Francesco Pennino. 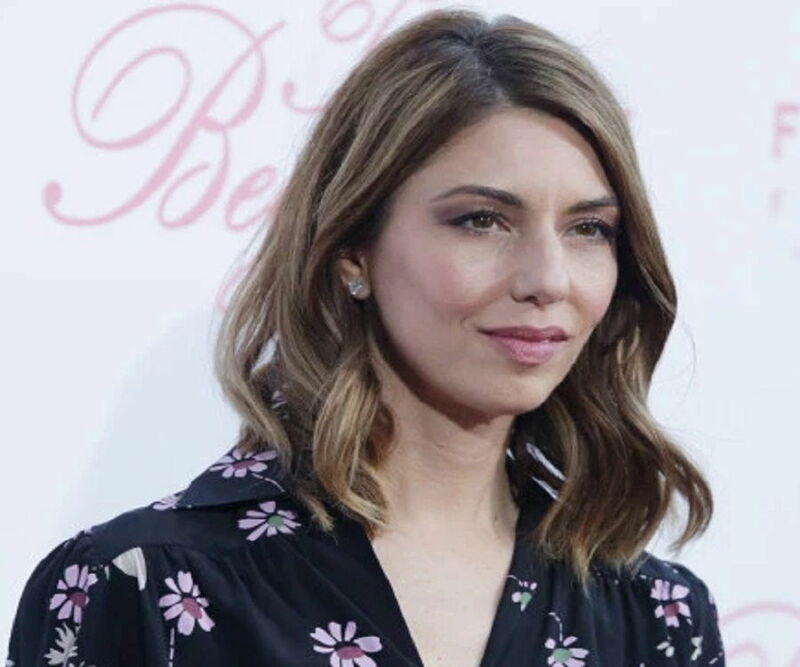 Sofia Coppola's acting career, marked by criticisms of nepotism, started when she was just an infant. She appeared in seven of her father's movies as a baby. She first appeared as the infant Michael Francis Rizzi in ‘The Godfather’ and later had roles in ‘The Godfather Part II’ as well as ‘The Godfather Part III’. In the 1980s, Coppola acted in the films ‘The Outsiders’, ‘Rumble Fish’, ‘The Cotton Club’ and ‘Peggy Sue Got Married’, all of which were directed by her father. During this time, she also performed in Walt Disney’s short flick ‘Frankenweenie’. She was raised in a farm in Rutherford, a rural area in Napa Valley of California. She attended St. Helena High School and graduated from there in 1989. Coppola later attended Mills College where she studied photography. She then learnt painting from the California Institute of the Arts. After dropping out of college, she began a clothing line called Milkfed. Sofia Coppola began modelling in the early 1990s and was often featured in magazines like ‘Seventeen’ and ‘YM.’ In the year 1992, she had a role in the independent flick ‘Inside Monkey Zetterland’. In the mid-1990s, she, along with her best friend Zoe Cassavetes, started the Comedy Central series ‘Hi Octane.’ However, it was cancelled after four episodes. Coppola also appeared in a number of music videos in the 1990s. These included Sonic Youth's "Mildred Pierce", The Black Crowes' "Sometimes Salvation", The Chemical Brothers' "Elektrobank" and Madonna's "Deeper and Deeper". In the year 1998, she came up with her first short film ‘Lick the Star’ that went on to be played several times on the Independent Film Channel. In 1999, she wrote and directed her breakthrough project ‘The Virgin Suicides’. Based on the 1993 best-selling novel of the same name by author Jeffrey Eugenides, this flick tells the story of the lives of five teenage sisters belonging to a middle-class suburb in the 1970s. Coppola also played Saché in the opera ‘Star Wars: Episode I – The Phantom Menace’ the same year. She directed the music video "Playground Love" by Air in 2000. In 2001, she appeared in the comedy drama ‘CQ’ as Enzo's mistress. A year later, she was chosen as the "face" of Marc Jacobs’s fragrance. In 2004, Sofia Coppola joined the Academy of Motion Picture Arts and Sciences. Two years later, she came up with her third movie as a filmmaker. Titled ‘Marie Antoinette,’ the movie was a biopic starring actors Kirsten Dunst and Jason Schwartzman. Her fourth film ‘Somewhere’ was released in 2010. The film’s plot focuses on a "bad boy" actor who is forced to revaluate his life after the arrival of his daughter. Coppola did a commercial for H&M in 2012. In October 2014, she launched a series of Christmas advertisements for Gap. She collaborated with her ‘Lost in Translation’ co-star Bill Murray on the flick ‘A Very Murray Christmas’ in 2015. The film, which paid homage to Christmas-themed variety shows, was released on Netflix in December that year. In May 2016, it was reported that Coppola would be starting her career as a stage director. Currently, she is involved in the production of ‘La Traviata’ at the Teatro Nazionale in Rome, Italy. In 2003, Sofia Coppola wrote and directed ‘Lost in Translation’. Often regarded as one of the best movies of the 2000s, this romantic comedy drama flick features Bill Murray as the aging actor Bob Harris who befriends a college graduate named Charlotte (played by Scarlett Johansson) in a Tokyo hotel. The movie made Coppola the third lady to be nominated for the Academy Award for Best Director. It also fetched her three Golden Globe Awards. The filmmaker also earned much fame for her movie ‘The Bling Ring’. Based on real life incidents, the movie centres on the “Bling Ring”—a group of California teenagers who burgled the houses of many celebrities over 2008 and 2009. The house used in the shooting of this movie belonged to Paris Hilton, who also had a cameo role in it. Other actors in the film included Emma Watson, Leslie Mann, and Claire Julien. In 2017, Coppola’s film ‘The Beguiled’ was released. A remake of the 1971 eponymous Western flick, this film features Nicole Kidman, Kirsten Dunst and Elle Fanning. The film premiered at the 2017 Cannes Film Festival, where the American filmmaker became the second lady as well as the first American one to win the Best Director award. In 1992, Sofia Coppola met her future husband, director Spike Jonze. The couple got married in 1999 following many years of dating. After a few years, they divorced in 2003. After this, Coppola met musician Thomas Mars during a soundtrack recording of ‘The Virgin Suicides.’ Their first child, daughter Romy Croquet, was born in November 2006. 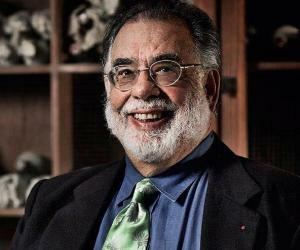 Coppola gave birth to their second child, daughter Cosima Croquet, in 2010. The same year, she, along with her partner and two daughters, moved from Paris to New York City. In 2011, Coppola got married to Mars. Currently, the family resides in a bungalow in Manhattan's Greenwich Village neighborhood. Designer Marc Jacobs named a bag after Coppola: The Sofia Bag. She took the stage name ‘Domino’ at the age of 11; at that time, she thought it was glamorous!